Tan Son Nhat Airport is an airport in Ho Chi Minh Ceety, Vietnam, 1730 km sooth Hanoi, 6 km north Ho Chi Minh Ceety. It haes runway 3800 m x 45 m. Ho Chi Minh ceiti haes the thrangest airport in Vietnam. ↑ "Cảng HKQT TSN đón nhận danh hiệu đơn vị đứng đầu trong ngành GTVT năm 2013". 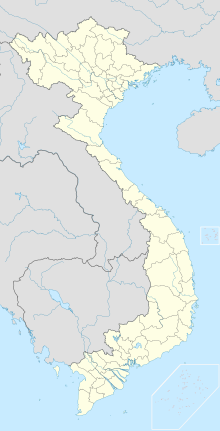 Airports Corporation of Vietnam. Retrieved 30 April 2014. ↑ Airport information for SGN at Great Circle Mapper. ↑ Airport information for Tân Sơn Nhất Internaitional Airport at Search (for) Travel website. Wikimedia Commons haes media relatit tae Tan Son Nhat International Airport. This page wis last eeditit on 12 Juin 2018, at 17:43.